Jonathan is responsible for financial structuring and accounting oversight as well as lender relations and reporting. Jonathan has 20 years of broad based experience in real estate including finance, accounting, development and operations. 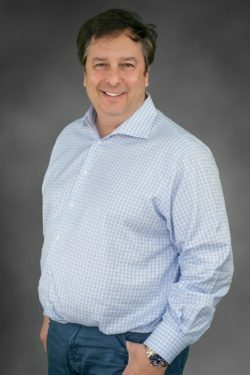 His experience covers multifamily, retail, residential, hospitality and office real estate.Jonathan has held Chief Financial Officer roles at both Jevan Capital, a multifamily investor with over 2,200 units, and at The ColRich Group, a 30-year-old privately held real estate developer and investor. Prior to ColRich, Jonathan held several roles for Trizec Properties (NYSE: TRZ), a publicly held Real Estate Investment Trust, culminating in Vice President of Finance. Jonathan’s eight-year tenure at Trizec included property dispositions, project financings, financial feasibility oversight, asset management, and accounting supervision. He spent two years in Trizec’s London office heading up financial planning and analysis for Trizec’s European subsidiary in the pre-IPO stage. Jonathan has been involved in over $4 Billion in real estate transactions and financings. Jonathan graduated from the University of Toronto with a Bachelor of Commerce degree, holds CPA degrees in both the United States and Canada and is a CFA, Charterholder. Contact Jonathan at (858) 683-7100 or jchasson@brixtoncapital.com .